Since 1978, Dr. Chem-Dry has been proudly offering innovative carpet cleaning services to the Phoenix area. With countless companies in the carpet cleaning business, we understand better than most just how important it is to choose the best one to fit your specific cleaning needs. We are confident that the first time you experience our revolutionary cleaning process at Dr. Chem-Dry, you will never go back. As a family owned and operated company, we are committed to ensuring that our customer’s satisfaction is met; every time. With over 36 years of carpet cleaning experience, we have perfected the art of cleaning your carpets, tile and grout, as well as upholstery. Best of all, the process we utilize to expertly clean your carpeting is eco-friendly and highly-efficient – which means it’s safe for you, your loved ones and your pets. Over the years, we have found that by using carbonation as our preferred cleaning method, it can lift most set-in stains and embedded debris in the least amount of time without ever needing to saturate your carpets. Which means your carpets will be dry in just 1-2 hours-much shorter than the traditional 1-2 day dry time. In addition, this method allows your carpets to dry quicker and stops the potential growth of mildew in its tracks. Therefore, leaving you with a deep-down clean you can feel! But, wait it gets even better than that! At Dr. Chem-Dry, we don’t believe in just settling for good results; we strive to deliver the best results every time we complete our carpet cleaning services in Phoenix AZ and the surrounding areas. 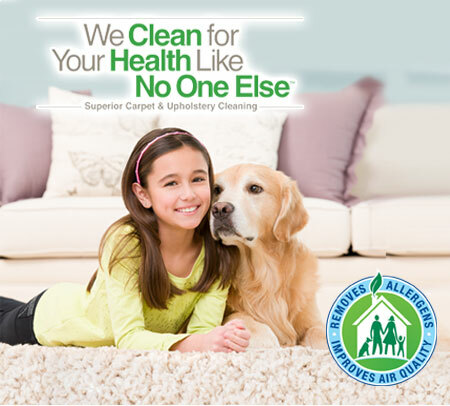 We offer professional service from our staff of expert carpet cleaners throughout the greater Phoenix Metropolitan area including Scottsdale, Glendale, and Peoria. I highly recommend this Company to anyone who is looking for the full package. They not only cleaned my carpets & did an amazing job, but their Customer Service is outstanding. Holiday cleaning this weekend. Made the call ahead as i have used these guys a few times and they recognized me...... offered my a good discount, so felt the need to write. THANK YOU! AWESOME WORK! Had my rug taken in to be cleaned & it came back looking alive again! They got the funky smell out, too. Pet stains lifted were expected but when they (Dr Chem Dry) found the cure to nail polish thats been on my couch i was ECSTATIC !!! for ALL your upholstery needs THIS IS the Place. Thank you & let the Super Bowl party spills begin (hope not). 35% off if you bring us your rug or 25% off Area Rug Immersion Cleaning with pickup/delivery charge. Protector, sanitizer & repairs add'l. Call for details. Color seal & sanitizer treatment add'l. Minimum charges apply. No Service Charge. Free Commercial Estimates.